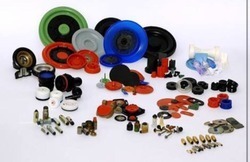 Our product range includes a wide range of slicone rubber breaded tubes, silicone rubber sheets, silicone rubber parts, silicone rubber cords, rubber cords and rubber grommets. 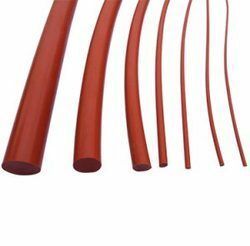 RAJ ELASTOMER is pioneer in Polyster reinforced Silicone Transparent Braided Tubes for Food, Pharma, Chemical, Medical, Heavy Engineering, Thermal Power Stations, and PSUs. These Braided Hoses are made from 100% pure Silicone Rubber by using fully Automatic state-of-the art machineries and technologies. We have already catering these products to all the major Pharmaceutical Companies in India . Our products are also exported for overseas customers. RAJ ELASTOMER is pioneer in Polyster reinforced Silicone Transparent Braided Hoses for Food, Pharma, Chemical, Medical, Heavy Engineering, Thermal Power Stations, and PSUs. These Braided Hoses are made from 100% pure Silicone Rubber by using fully Automatic state-of-the art machineries and technologies. We have already catering these products to all the major Pharmaceutical Companies in India . Our products are also exported for overseas customers. Resists oxidation, ozone and radiation. Available in sizes from 6 mm ID to 60 mm ID. We are engaged in providing a qualitative range of Silicon Rubber Cords.These Silicon Rubber Cords are widely used at places of high temperature. 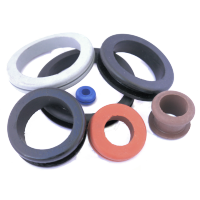 These have been manufactured using standard quality rubber and allied materials and have outstanding resistance properties. Our range is available in different varieties, sizes and dimensions as per the requirement of the client. Looking for Silicone Rubber Cords ?